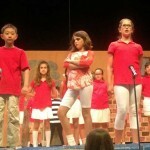 By russell44 November 16, 2014 November 16, 2014 Musicals, Updated Shakespeare, Winner Takes All! 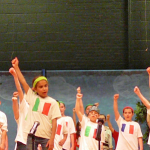 The World Summit Camp provides a 3-week program for middle school students. 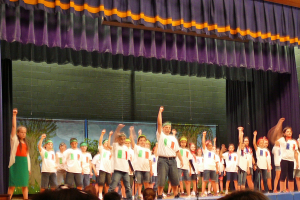 Students are given the opportunity to learn about different cultures while enjoying all the pleasures of a summer camp. Each student is assigned to one of three countries and participate in a series of friendly competitions–an “Olympics” of the mind and body. The moderators and student team captains of Teams Italy and France, however, have totally missed the purpose of the program. All they care about is winning. Luckily, not all students agree with these crazy rivals. 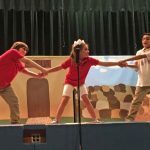 Can team Switzerland and a few determined students help Team France and Team Italy to make peace? 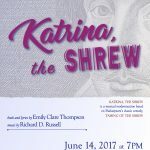 Katrina, the Shrew on June 14!